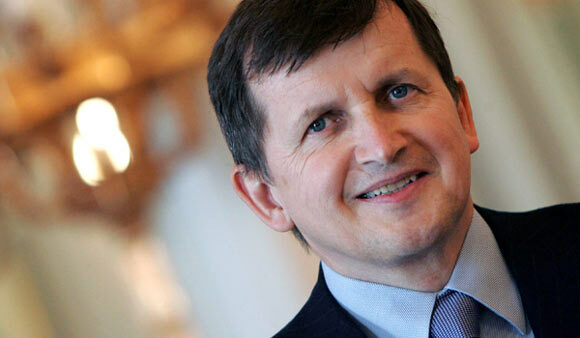 Charles Simonyi is a renowned Hungarian-American technology pioneer, space explorer and philanthropist. He was born in Budapest, Hungary in 1948. His father, Károly Simonyi, was a professor of electrical engineering at the Technical University of Budapest. He developed an interest in computer programming after working part time as a night watchman at a computer laboratory during his schooling years where he learned programming from one of the laboratory’s engineers. By the time he had finished his schooling he was an expert in programming. In 1968, he went to the U.S. to attend University of California, Berkeley and graduated with an M.S. in Engineering Mathematics & Statistics in 1972. He then attended Stanford University for further studies and later joined Xerox PARC. Here he worked with industry pioneers and was involved in the development of one of the world’s first personal computers, the “Xerox Alto”. He received his Ph.D. in Computer Science from Stanford in 1977. At Xerox PARC, he created the first WYSIWYG text editor named Bravo. In 1981, he moved to Microsoft as Director of Application Development and Chief Architect. Here he supervised the development of their bestselling products Microsoft Word and Microsoft Excel. He also developed the “Hungarian notation convention” for naming variables that has been widely used inside Microsoft. Simonyi remained with Microsoft during its peak growth years but left in 2002 to form his own company with his partner Gregor Kiczales. Together they founded “Intentional Software” which markets the intentional programming concepts that Simonyi developed while at Microsoft. In 2006, Charles Simonyi developed an interest in space travel and signed up for becoming a space tourist with the company “Space Adventures, Ltd.” In 2007, he undertook a mission to the International Space Station (ISS) lasting 10 days but only after passing a medical exam and undergoing training. He describes his experience on first arriving at the space station as extraordinary and said he was “blown away” by the grandness of it all. He undertook his second flight to space in March 2009. He is the only space traveler to have gone into space twice. During one of his journeys, he established radio contact with schools on Earth including Cedar Point Elementary in Bristow, Virginia. Simonyi and his wife Lisa are renowned philanthropists and have donated millions of dollars to worthy causes. “The Charles and Lisa Simonyi Fund for Arts and Sciences” was started in 2003 and provides grants to notable organizations in the arts, sciences, and education. The foundation’s goal is to provide access to opportunities for progress. The fund’s first contribution was a $10 million grant given to the Seattle Symphony in honor of its 100th anniversary. Other institutions receiving grants include Institute for Advanced Study at University of Oxford, the Seattle Public Library, the Museum of Flight in Seattle, the Russian National Orchestra, and the Louisiana Museum in Denmark. Simonyi is a member of the National Academy of Engineering, the American Academy of Arts and Sciences, and the Hungarian Academy of Sciences. He has received honorary doctorates from the University of Pecs in Hungary and from the Julliard School in New York. Charlies Simonyi’s wife is the daughter of a Swedish millionaire and is 32 years younger than him. The private wedding ceremony held in 2008 was attended by their close friends, which included Bill Gates. Simonyi owns a 233-foot long yacht named “Skat” aboard which he spends 6 months out of 12 each year. His house is named “Villa Simonyi” and was designed by the famous architect Wendell Lovett. He currently resides in Washington and has an estimated net worth of US $1 billion.